The Mercedes ConceptFASCINATION is a design study intended to preview future Mercedes-Benz styling, and also highlight Mercedes' luxury heritage. 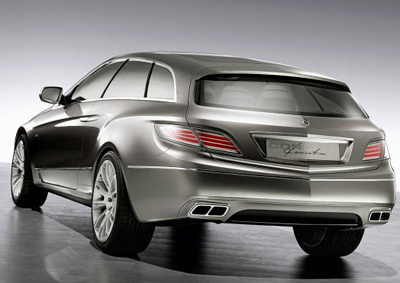 The ConceptFASCINATION was displayed for the first time at the 2008 Paris Motor Show. 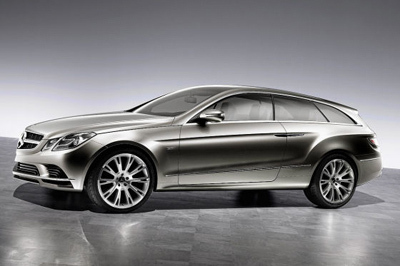 Dr Dieter Zetsche, Chairman of the Board of Management of Daimler AG, said of the concept. 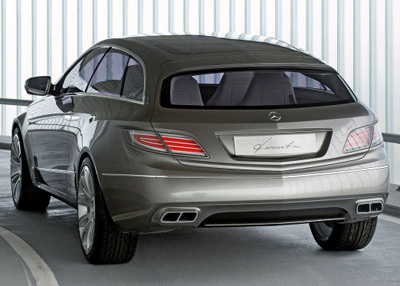 "This design study continues the long tradition of exciting coupés from Mercedes-Benz in impressive style. 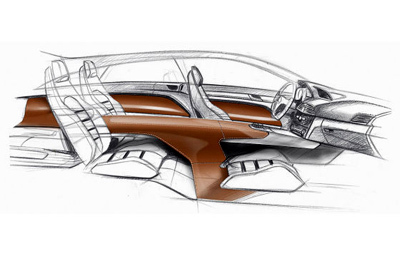 With its emotionally appealing lines, ConceptFASCINATION offers a completely new interpretation of the coupé. Its aesthetic, dynamic looks and painstakingly crafted details ensure that this study meets the highest design standards." 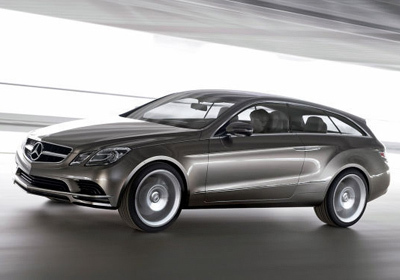 The exterior styling of the Mercedes ConceptFASCINATION is characterized by the dynamic front-to-rear sweep of the style lines which is supposed to give the car a poised and ready appearance. 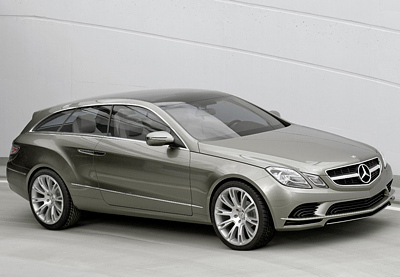 This is further underlined by the long, frameless, side-windows and lack of any B-pillars. 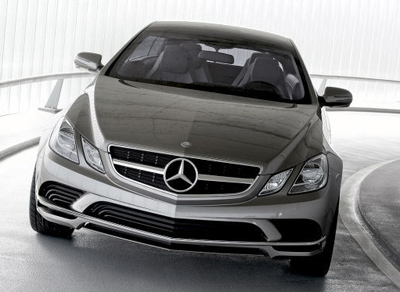 The LED headlights preview a new Mercedes styling philosophy. These rhomboid shaped units are set against a grey background and feature C-shaped fibre-optic inserts which act as running lights. The wheel arches, especially at the rear, are clearly defined by sculpted curves which flow into the rest of the bodywork. A panoramic glass roof helps bring natural light into the ConceptFASCINATION's cabin which is inspired by the world of equestrianism. Thick, dark leather covers the aluminium centre console which, like a bridge extending from the front to the rear, spans the space between the four sporty individual seats. This leather also covers the upper section of the dashboard and the door armrests. Contrast to the dark, heavy leather is provided by light, fine nubuck leather used for the other surfaces and the four individual seats as well as by the deep-pile carpet with heavy fibres. The seat centre panels are covered in strong, high-quality fabric. Trim strips are formed from American walnut and chrome surrounds. The wood and aluminium trunk of the ConceptFASCINATION measures approximately one metre square. Folding up the floor at the left and right sides reveals two compartments containing two sets of binoculars as well as a high-quality digital camera with interchangeable Leica lenses. The centre of the load compartment is occupied by a folding smoked glass table which rises out of the floor at the touch of a button to reveal a compartment housing a humidor. The table can also be pulled to the rear for easier access from outside. Doing so provides access to a refrigerated compartment for drinks and champagne flutes. Powering the Mercedes-Benz ConceptFASCINATION is a fuel efficient, 204 horsepower, 2.2 litre, four-cylinder, diesel engine with Mercedes' BlueTEC and AdBlue technology.